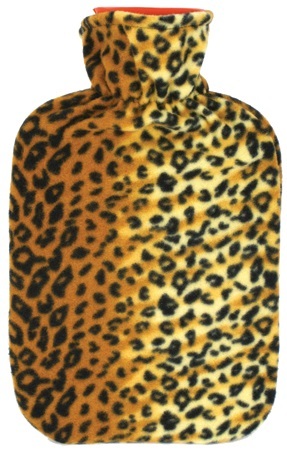 This 2 liter hot water bottle comes in 1 of 3 decorative covers. The soft fabric is comfortable to the skin, helps prevent burns and is washable. (Patterns may vary). Very nice! 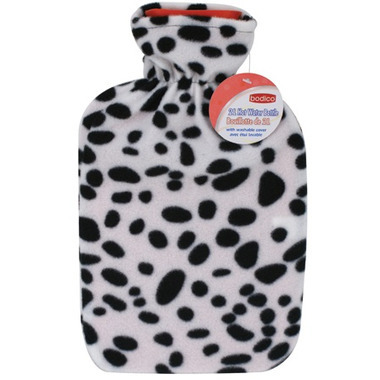 soft, well made cover and good quality hot water bottle with metal screw in cap. Better quality than I have found before. Thanks Well.ca! Excellent quality product. The cover is super cute and cozy! cute cover ! great product ! Great product, and the heat lasts a long time! Good hot water bottle. It doesn't smell like the cheaper made ones. 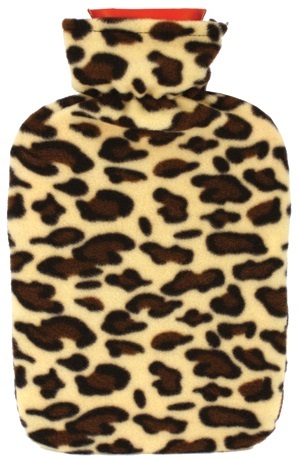 Great hot water bottle. I like that it comes with it's own cloth cover which protects the skin from direct contact from the bottle itself which can be pretty hot at times. Sturdy construction and very economical for $9.99! I have had no mishaps with it so far. Tks. So far so good, no complaints and I think it's very good value for money in light of the fact that it comes with it's own cover (which is not shown on the webpage for whatever reason), all for approx $10.